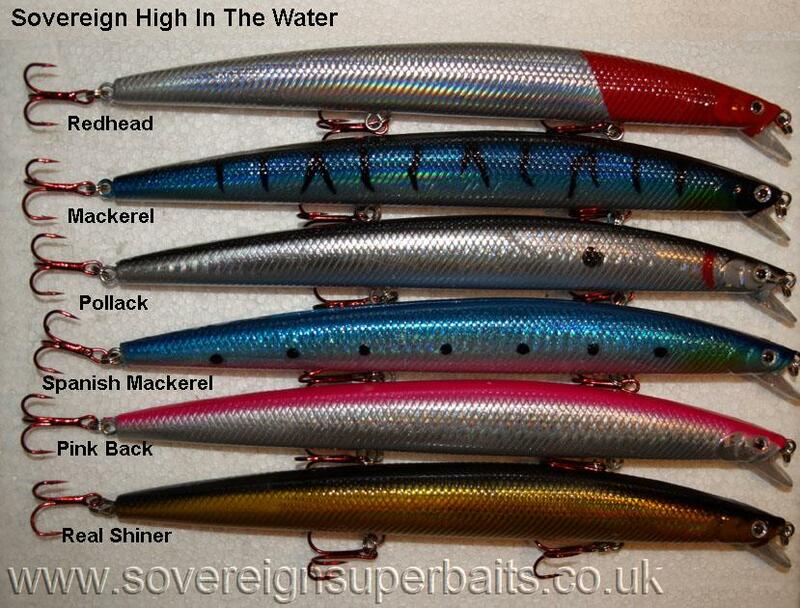 : Like the other lures in this range this one is also named for its action in the water. At rest it sits perfectly flat with around one third of its body above the water. On a straight retrieve it gets down to around 2', on a crank and pause retrieve it can be made to snake across the surface. This is clearly a larger bait, casts like a bullet and most people would consider it an Autumn bait because of its size but we have had equally good results in the Spring with all sizes of fish prepared to take it right down to schoolies of the same length. 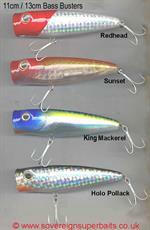 Like the other bass lures in this range it is furnished with Size 6 Surecatch red tinned trebles attached with Berkley Size 4 stainless steel snap rings. 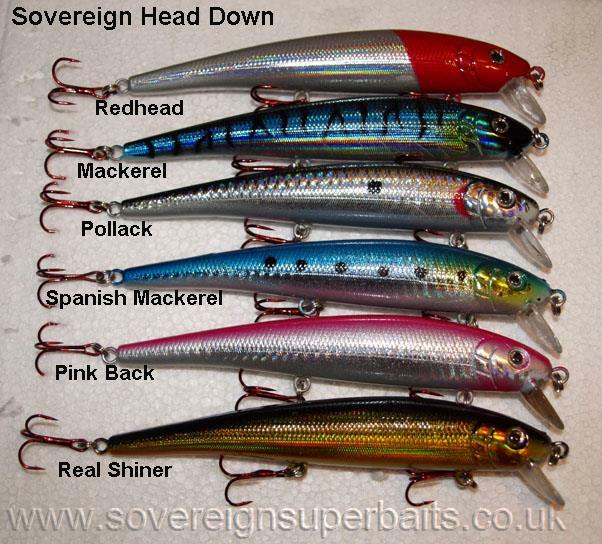 Once again another great bass lure for not a lot of money from Sovereign Superbaits. 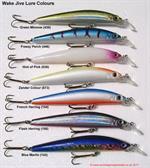 : Like the other bass lures in this range this lures title is inspired by its action. The "Only Just bass lure" only just floats. The diving bill is not dissimilar to the diving bill on the "tackle house feed shallow" which obviously gives it a similar action and diving depth of around 2' but it rises in the water column on the pause much slower and we have found that this induces even more takes than the far more expensive "tackle house lure" and at less than half the price. Like the other lures in our eco range it is furnished with Size 6 Surecatch red tinned trebles held in place with Berkley Size 4 split rings. 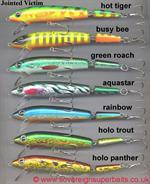 Yet another great bass lure for not a lot of money from Sovereign Superbaits. : This bass lure is so called because this is how it sits at rest, only the last half cm of the tail breaks the surface. It is a shallow runner but will run on a continuous crank down to approximately 3'. On the pause it rises tail first and backwards to the surface. This is not only a good fish catching element but also helps in retrieval from a snag. It is furnished with Size 6 Surecatch red tinned trebles attached by Berkley Size 4 stainless steel split rings. : This bass lure is made by Fladen with its excellent pedigree and dedication to keen prices, this lure is an absolute must. The classic bent shape of an injured fish is a great draw to predators. This lure will run down to about 2' on a continuous retrieve and can be kept just under the surface with the more common crank and pause routine. It is fitted with stainless steel split rings and size 6 wide gape trebles and like all the other lures on this page will not break the bank if you leave it in the rocks.